A cost effective, reliable solution for improving productivity. 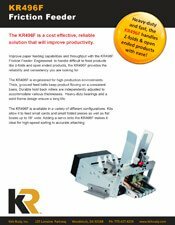 Improve paper feeding capabilities and throughput with the KR496F Friction Feeder. 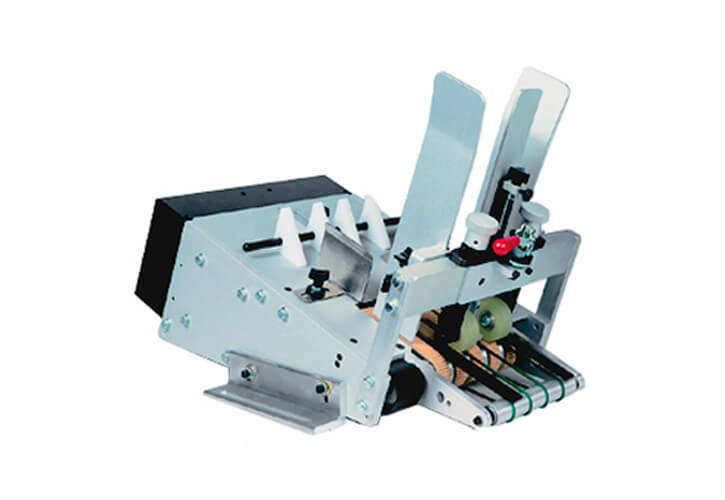 Engineered to handle difficult to feed products like Z-folds and open-ended products. Thick, grooved belts keep product flowing on a consistent basis. Durable hold back rollers are independently adjusted to accommodate various thicknesses. 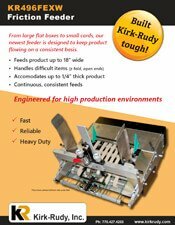 This wide and extended version of the KR496F Friction Feeder feeds product up to 18” wide. Engineered for high production environments. 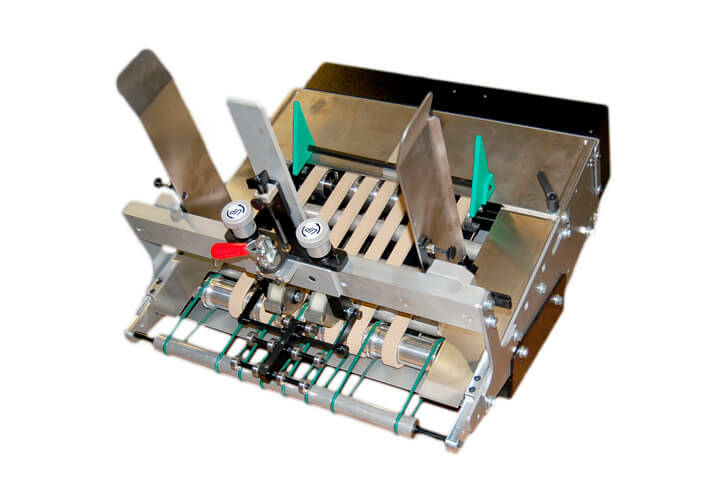 From large flat boxes to small cards, this friction feeder is designed to be versatile and keep product flowing on a consistent basis.